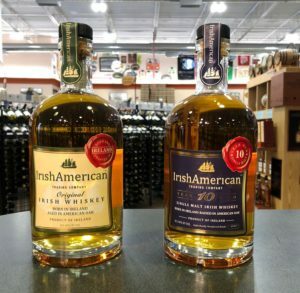 Irish Whiskey Tasting with Irish American at Colonial Spirits Next Week! Irish American, a Lesser Known Irish Whiskey Producer Will be Here Next Week! Due to the weather yesterday, we had to cancel the tasting but we will be still having it next week. We didn’t want to deprive our customers of tasting these excellent products! Just because it’s past St. Patrick’s Day, doesn’t mean you can’t still be Irish for a night! Click here for more information on the products!